Darian Sanayei wrapped up his 2016 European adventure back in his home country (yes, that doesn't make much sense) with the BUD Racing team. After spending the season chasing the EMX2 title, which he was runner-up in, he'll move to MX2 full-time for 2017, moving his European adventure to a world-wide one. This change also comes with a team swap, as he'll stay on Kawasakis but move to DRT (Dixon Racing Team) to compete in the premier world 250 classification. 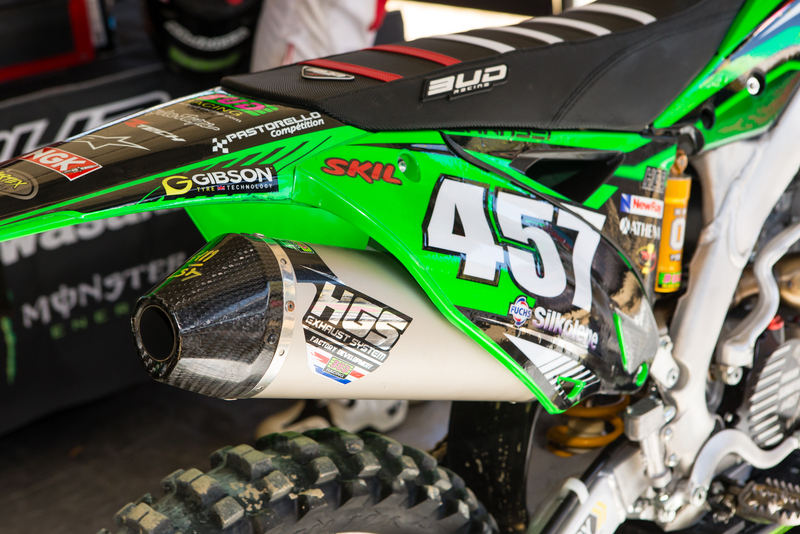 We didn't have a ton if time to look over Sanayei's ride, but we did look it over a bit closer during Supercross for a Bike Face-Off, which you can see here: Darian Sanayei's KX250F. 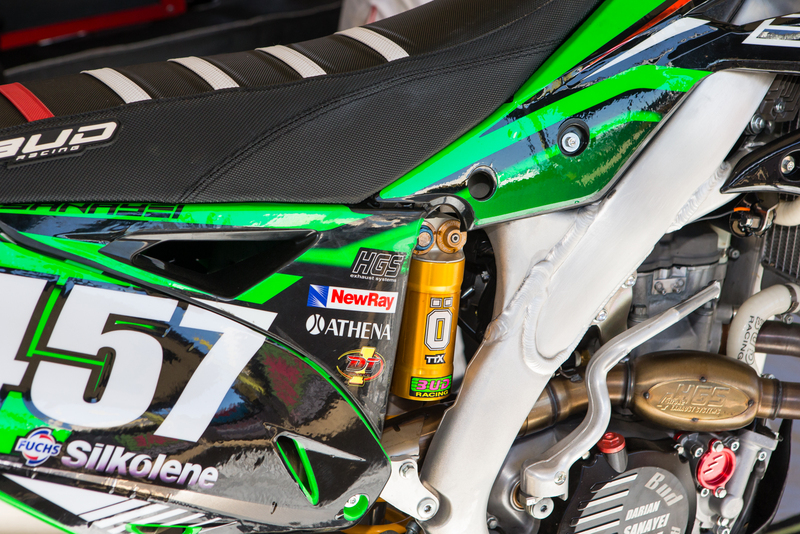 BUD Racing is a US importer for Ohlins suspension and has a shop in Lake Elsinore, California. 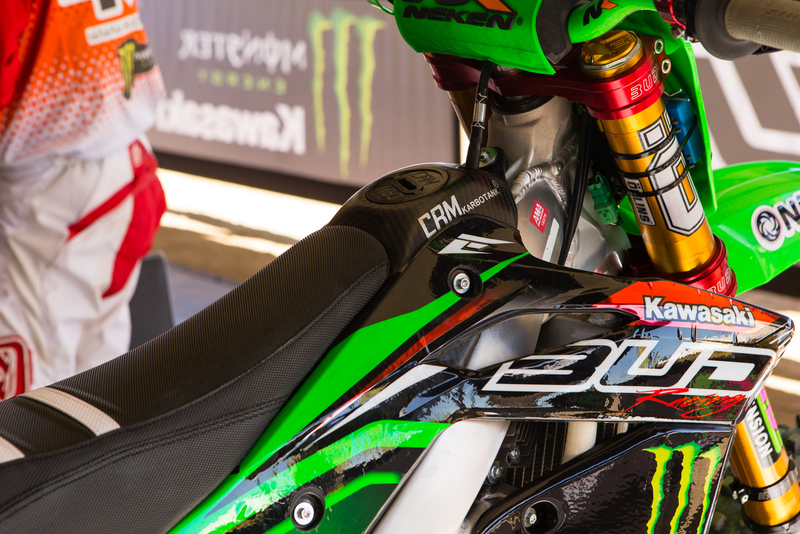 Sanayei's bike was equipped front-and-rear with their components, but not the newest shock we just finished testing but is now becoming available. You can check that out here; Tested: Ohlins TTX Flow Shock and Fork. The reflective red graphics and the CMT Karbotank sure go together well.